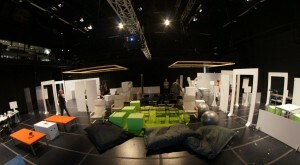 As a part of a healthcare design project, a prototype of hospital environment was built at Aalto ARTS Studio Stage. Simo, Essi and Antti from SINCO had an opportunity to go see the prototype, un-formally dubbed as “Cardboard Hospital” due to its main building material. 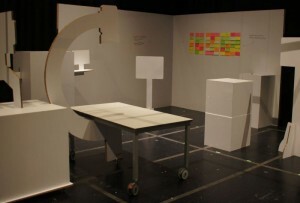 According to Juha Kronqvist and Heini Kervinen, the designers behind this prototype, thick cardboard plate was chosen for the prototype due to its strong structure enabling to build large elements for the hospital prototype, and yet being so light, that the elements were easily movable by a single person if needed. 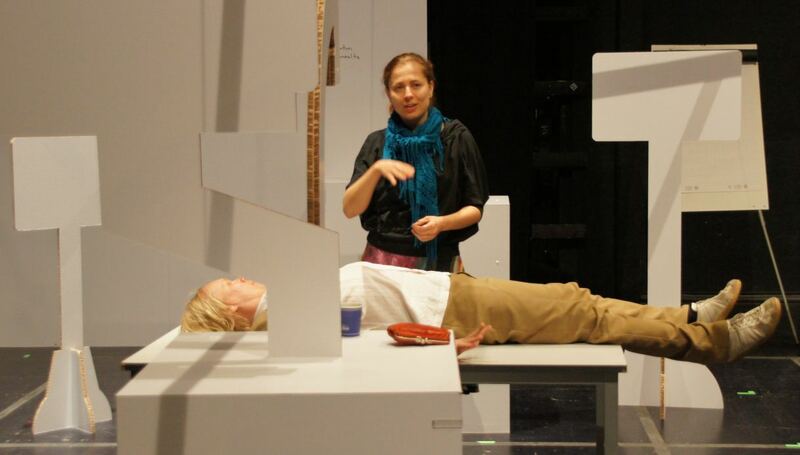 The idea behind movability of the elements was that participants for the workshops held with the prototype, were allowed – even encouraged – to move elements so that the setup would better serve the actions taking place in normal hospital environment. Workshop participants included existing patients and hospital staff like nurses and doctors, some of who had already participated in earlier stages of the design process. Researchers made an interesting, yet not ultimately surprising finding during prototyping workshops: Even though every element in the prototype was made movable, the participants dared only move items like tables and chairs, which would be movable also in the real environment. They didn’t even think of moving normally static elements such as walls or doors before the facilitators reminded them of this possibility. As a servicescape prototype, especially from SINCO perspective the hospital was a very interesting experience. There were many similarities to SINCO, like the possibility to quickly alter and evaluate the variations of the prototype setup. White cardboard as building material felt also very neutral element. 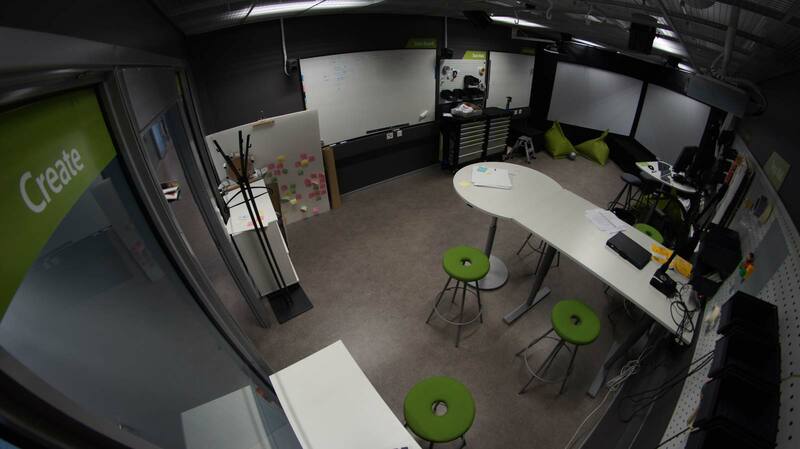 Most of the white surfaces were also laminated with clear film, making it possible to use the surfaces as whiteboards. This had been a great help also during the workshops, and we saw lots of marker-written and post-it notes on the walls from previous workshops. In addition to the neutrality, white color of the cardboard elements also emphasized the ‘hospital atmosphere’ of the whole prototype, as was pointed out by some visitor at the end of our visit. Visiting this prototype was very mind opening from SINCO perspective. It was an excellent example and an alternative to SINCOs tech-focused way of rapid prototyping. The strong cell plate cardboard seemed to be an excellent and versatile material for prototyping, and we’ll probably make use of it in SINCO environment for prototyping physical elements to see, how it works together with our digital servicescape prototyping techniques. Thanks to Juha, Heini and Aalto University for giving us an opportunity to visit the prototype!